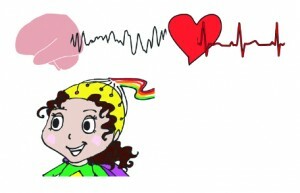 How do the heart and brain work together? The study is one 2 to 2½ hour session at the UO. Your child will play fun games while his/her heartrate and brainwaves are being recorded. You will answer some questions about your child and yourself. Please text or call us at 541-221-6007 for more info and a brief phone interview to determine eligibility. Or email us at bdlpeace@uoregon.edu.